Due to its unique composition, Cherish Mascara not only instantly gives lashes a stunning view, but also takes care, feeds and provides the necessary hydration of each eyelash. Tuber fleeceflower extract strengthens the lashes and promote their recovery. Panthenol provides deep hydration and gives lashes health and shine. Vitamin E provides lashes deep care and protects them from daily aggressors. Polymers coat lashes from root to tip to increase colossally length and volume of eyelashes. 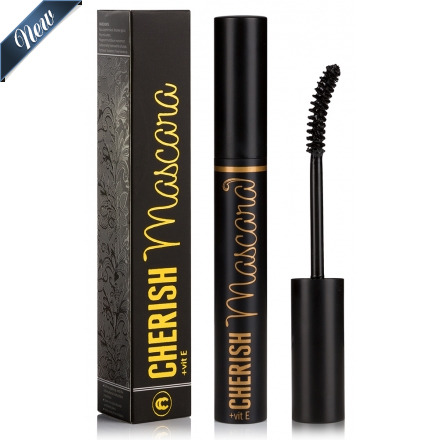 Step 1: Apply Cherish Mascara wiggling at the base of the eyelash and twirling upward and outward. Step 2: For a natural look apply one coat of Mascara. For a more dramatic look apply two or more coats of Mascara. Step 3: To remove mascara from eyelashes, use any eye make-up remover or water and mild soap. * Twirling the wand helps separate lashes and allows for a more even coating on eyelashes. * To extend the product’s life, do not pump the wand inside the tube. This allows air into the tube and may cause the product to dry out faster. Cherish Mascara is a mascara of a new generation, which instantly gives lashes astounding length, volume and deep, expressive color. 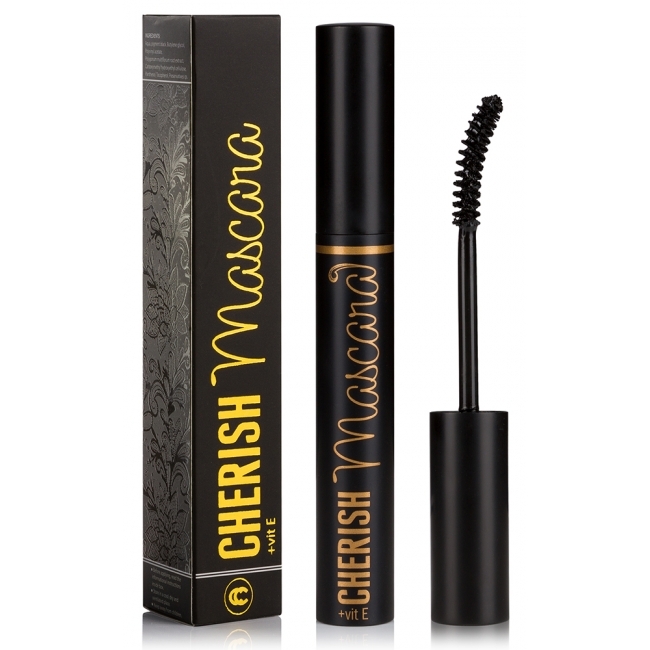 The caring mascara Cherish Mascara, is created in accordance with the latest trends in cosmetology and combines unique performance and gentle care for lashes. The composition of Cherish Mascara includes valuable vitamin complex that provides eyelashes follicles deep nourishment and starts the recovery processes. High concentration of pigments makes the color of eyelashes particularly deep and look spectacular.